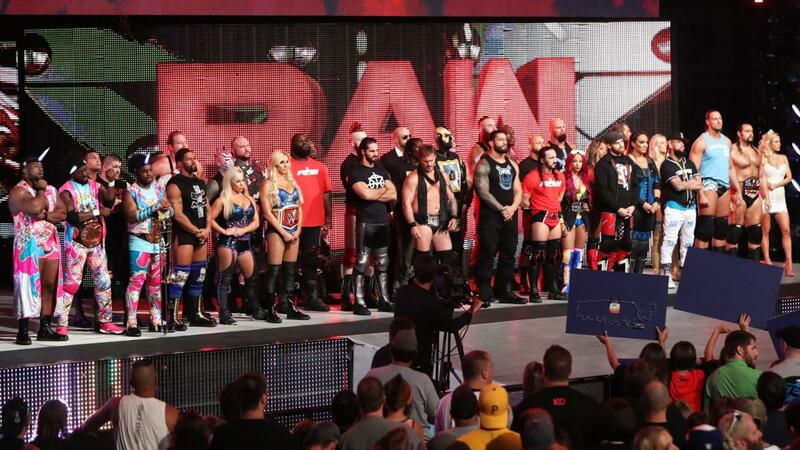 Ever since the RAW after Wrestlemania 32, WWE have labelled the majority of 2016 a new era. Now labeling something like that is fine but they had failed to put any weight behind those claims, until now. For the first time since I can remember, WWE has put on 4 consecutive days of excellent content that has largely been well received by everybody. Battleground has been called the PPV of 2016 by many, RAW felt like a completely different show, SmackDown was much better Live than it was taped and Wednesday was typically full of the excellent NXT and Cruiserweight Classic action. So what are the biggest high and lows from this week in WWE? Of course we're going to start here. I watched everything in WWE this week and it felt like watching a completely different wrestling promotion. Battleground was full of surprises and had a Match Of The Year contender in Sami Zayn vs Kevin Owens. The Shield triple threat lived up to the hype and it was a great way to spend 3 hours. Fast forward 24 hours to RAW and it felt completely different. For the first time ever after an episode of RAW I found myself thinking, "Wow, I could go back and watch that entire show again". Sasha Banks was crowned the new Women's champion to kick off the new era and Finn Balor pinned Roman Reigns clean in the middle of the ring. SmackDown followed suit and while it may not have matched RAW it was a great show in it's own right. I don't think anyone expected the night to end the way it did. And finally we had a typical Wednesday night filled with another good episode of NXT and yet again the CWC was a sight to behold. You would be hard pressed to find a wrestling fan who didn't enjoy this week. OK, look this isn't me hating on Dolph Ziggler. The dude is immensely talented and he has a lot of fans out there and rightfully so. When I say this I'm talking about his credibility. This may be a new era but so far this year Dolph lost to Kevin Owens at Fastlane, lost in the Ladder match at Wrestlemania and recently lost a mid-card feud with Baron Corbin. People don't forget things as quickly as you think. In a kayfabe world, would someone with that PPV history in 2016 really be the first man to challenge WWE Champion Dean Ambrose on SmackDown? Despite this it still shows good signs that WWE are willing to give chances to those they haven't in the past so it's not all bad. No, seriously. In the past month and a half., Roman Reigns has lost the WWE title to Seth Rollins clean, been banned for 30 days for a drug violation, pinned by Dean Ambrose clean and pinned by Finn Balor clean. This may not sound like a high but hear me out. The majority of issues with Roman Reigns no longer stem from his ability in the ring. Anyone with half a brain cell can tell he's way better in the ring than some people give him credit for. The issues now come from two things, his lack of character development and the inevitable feeling he is going to win. For example, his matches against AJ Styles were stellar but I personally couldn't get fully invested in them because I knew that Roman was going to win. Now that Reigns has been pinned clean 3 times I don't get that feeling. I'm not saying he's going to lose to the likes of Fandango but you see my point, when someone looks beatable it allows you to appreciate their ability more. Yet again the WWE Cruiserweight Classic was a sight to behold. It was probably WWE's first venture into the deep waters of international professional wrestling and they've created something magical. While people may have their own opinions on each competitor, nobody is arguing about the competition itself. This week was another fantastic episode. British wizard Zack Sabre Jr. showed his stuff again Tyson Dux, although some people don't see the appeal. Tony Nese sparkled and Raul Mendoza also impressed. You'd be hard pressed to find a bad match so far in the CWC. It's very likely that a lot of these guys may end up on RAW for the new Cruiserweight division and that can only be a good thing. Despite the great week WWE had, not everyone can be pleased and this week it was largely older names that gave out the harshest criticism. Vince Russo and Ric Flair both knocked Finn Balor's win over Roman Reigns while Road Warrior Animal thinks Sasha Banks is being shoved down fans throats. It's not really the biggest problem but it is a general feeling that the older generation don't really get the appeal of guys like Balor and what they bring to the table over a powerhouse like Reigns despite the evolution of the wrestling business. Battleground has been called the PPV of 2016 by many, RAW felt like a completely different show, SmackDown was much better Live than it was taped and Wednesday was typically full of the excellent NXT and Cruiserweight Classic action. So what are the biggest high and lows from this week in WWE?